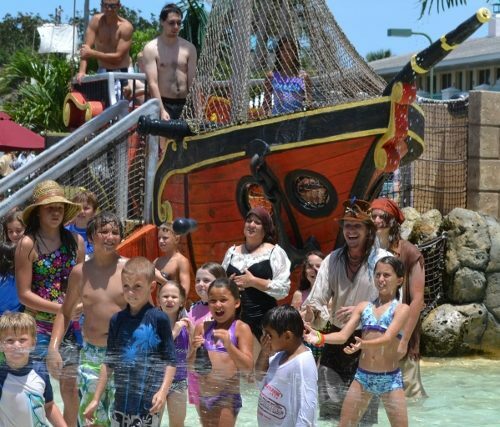 COCOA BEACH, Florida -- The 2014 Cocoa Beach Pirate Fest will take place at the International Palms Resort located on 1300 North Atlantic Avenue in Cocoa Beach, Florida during Father's Day weekend, June 13-15, 2014. Admission is free. This 3nd Annual family-friendly event will feature arts & crafts and pirate-themed vendors, food & beverage, a Living History Pirate Encampment, Live Mermaids, Sword Fighting, Treasure Hunts, Blackbeard’s Pirate Ship, Live Music & Entertainment, Black Powder Weapon Demonstrations, and a pirate ship with water cannon battles in a 150,000 gallon pirate-themed kiddie pool with over 1,000 cannonball water balloons. 10 a.m. to 6 p.m. on Saturday, June 14th. 11 a.m. to 5 p.m. on Sunday, June 15th Father's Day. An adults-only Pirate’s Ball will take place from 8 p.m. to 11 p.m. on Friday, June 13th. Cost is $20.